Our wings have always prepared with butter and dipped in blue cheese. So when I went dairy-free several months back, I was pretty terrified that I wouldn’t be able to create a comparable dairy-free version. 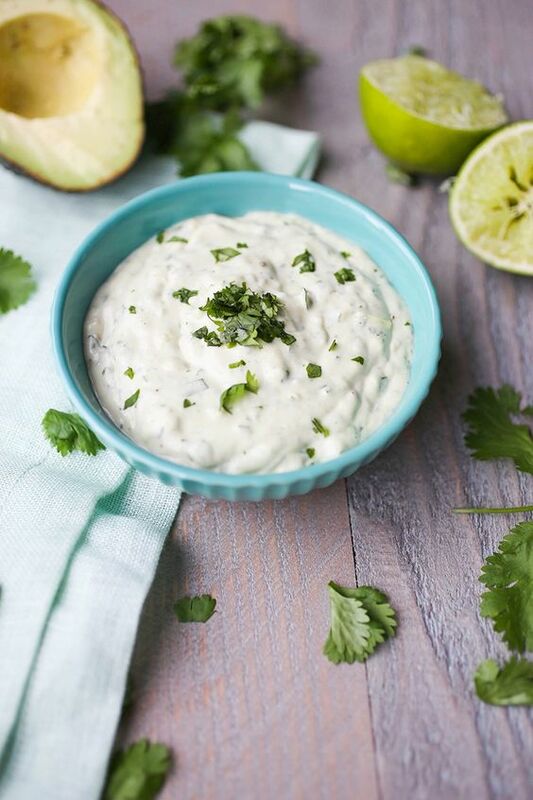 Thankfully, after just a little experimentation, ghee and this dairy-free ranch dressing came to the rescue! I’ve never really been a ranch fan, but I’ve been using this dressing on everything. Nothing like giving up dairy to make you appreciate creamy sauces and condiments! Making your own mayo is definitely an option but I rarely have the time. My kitchen is always stocked with multiple jars of Primal Kitchen Foods mayo, which is made with avocado oil. Combine all ingredients in a bowl and whisk until well combined. Awesome recipe. Excited to try this. Looking forward to your buffalong wing recipe! What can I substitute for the coconut milk/oil I’m allergic to coconut! Thank you! You could try something like The New Barn almond milk or make your own almond milk. Although the proportions wouldn’t be the same because of the thickness so you’d have to use your best judgement.